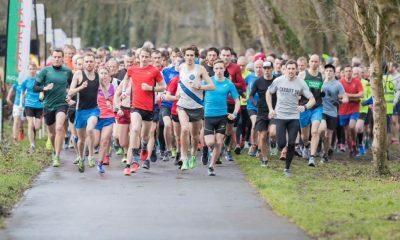 The opening weekend of February saw records on the boards, summer cross country conditions abroad and muck galore at home, while road racing is well and truly underway. 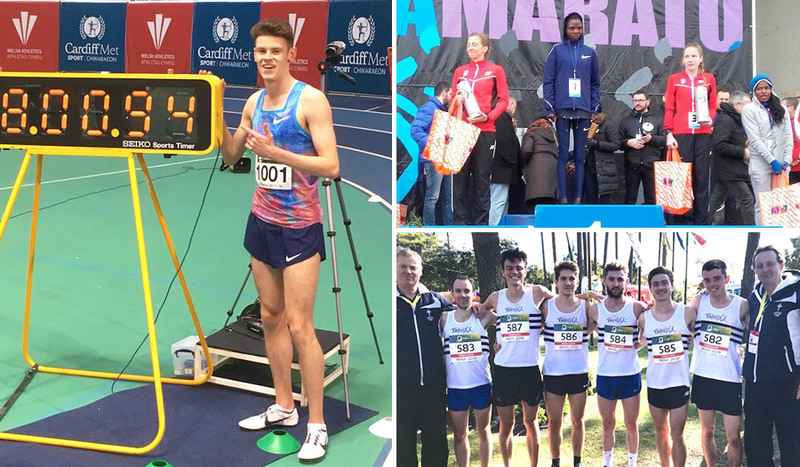 Alex Yee, in his first major race after his serious bike crash eight months ago, showed great determination to win the men’s title at the BUCS Cross Country Championships on Saturday. While European U20 champion Harriet Knowles-Jones impressed to take the women’s honours in Hillingdon House Farm. A full report can be found here. Late on Saturday night in New York, Chris O’Hare became the first British man since John Whetton in 1965 to win the Millrose Games Wanamaker Mile. O’Hare finished ahead of fellow Scot Josh Kerr who equally impressed with a personal best performance to move to number five on the UK all-time ranking. A report on the action in New York can be found here. 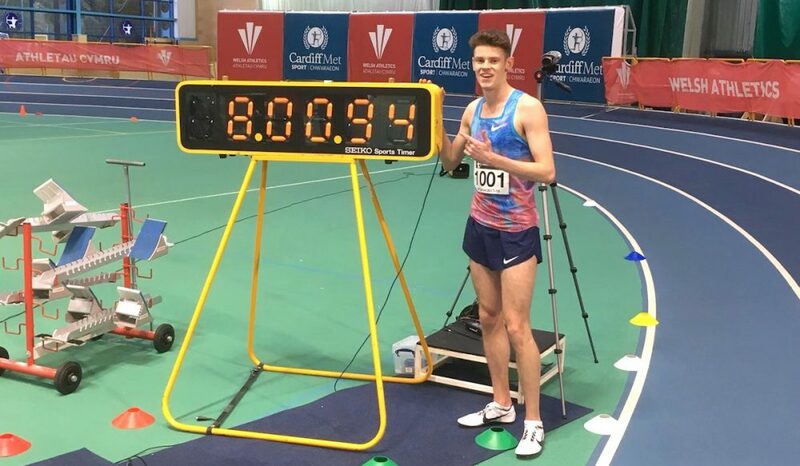 At the Non Thomas Open in Cardiff on Sunday the impressive 18-year-old Jake Heyward broke the British junior 3000m indoor record. The European under-20 1500m champion posted 8:00.93 to better Ian Stewart best that had stood from 1968. Also in Cardiff, Tom Marshall set a Welsh national record for 1000m indoors. Marshall, who features in the ‘class of 2018’ clocked 2:21.25 to finish ahead of Cardiff AAC club-mate Stephen Morris. Hannah England was the clear winner in the women’s 3000m crossing the line in 4:17.72, almost nine seconds ahead the rest of the field. At the opening meet of the IAAF World Indoor Tour in Karlsruhe, Germany on Saturday, world relay silver medalist Asha Philip finished third in the 60m final with 7.12 after posting 7.18 in the heats. Andrew Osagie finished fourth over 800m with 1:47.02, while Morgan Lake had a best jump of 1.85 in the high jump. Jonny Davies impressed over 3,000m at the Meeting National Elite in France, winning in a personal best of 7.56.13. David King was fourth in the 60m hurdles with world indoor qualifying time of 7.66. Harry Aikines-Aryeetey posted 6.68 in the 60m heats before clocking 6.74 in the final to finish to fifth. 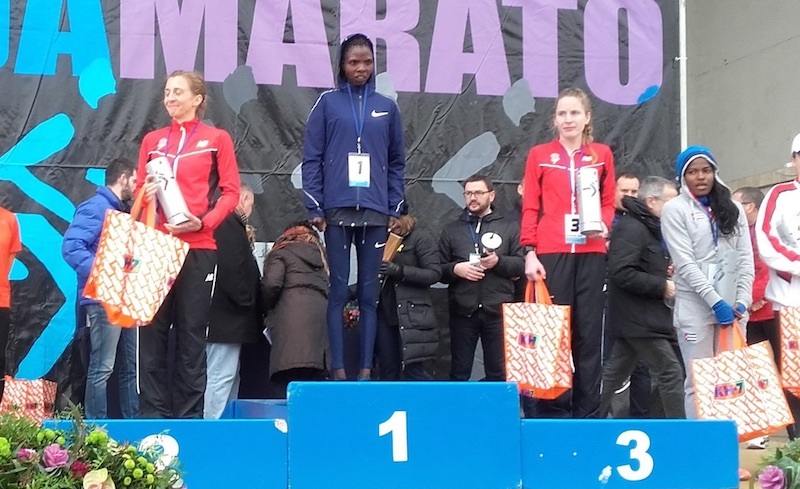 Representing England, Ruth Barnes and Sophie Cowper made it onto the podium at the Granollers Barcelona Half Marathon finishing second and third respectively with two personal bests. Avon Valley’s Barnes, who finished 12th last week at the South of England XC Championships, clocked 74.59 to take over 30 seconds off her best with Cowper clocking close to a four-minute PB with 76.25. Cardiff AC’s Matt Clowes finished eighth in the men’s race with a personal best 64.39, while Matt Sharp was in close pursuit taking ninth place with 65:39. 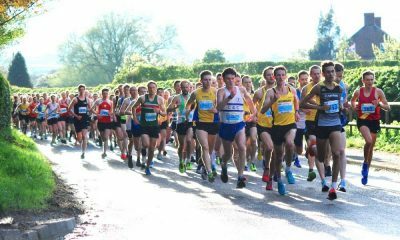 Aldershot’s Richard Allen out sprinted Highgate Harriers Andy Maud to win the Chichester Priory 10k in 29:45, with Maud crossing the line in 29:47. Fellow Aldershot runner Joe Morwood completed the podium in 30:37. Katrina Wooton took the honours in the women’s race in 33:23, with Bristol & West’s Kate Maltby second in 33:59. 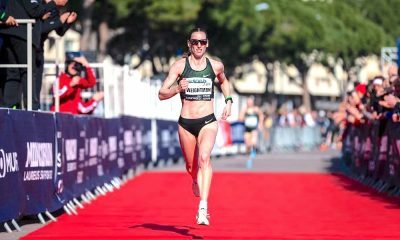 Rebecca Murray, who will make her marathon debut in London this April finished third in 34:09. At the Dewsbury 10K on Sunday, Mo Abu-Rezeq won the men’s title in a time of 29:42. The Altrincham & District runner finished 20 seconds ahead of Fikre Wondiye. Wakefield Harrier Charlene Thomas won the women’s race in 34:50. Jack Martin won the men’s title at the Alsager 5 in Staffordshire on Sunday. The Stockport Harrier crossed the line in 24:19 over the 5-mile course. Team New Balance Manchester’s Lauren Howarth followed up on her second place at last week’s Northern Cross Country Championships with the women’s title in a personal best 26:56. Commonwealth Games marathoner Josh Griffiths won the Pontypridd Reverse 10 in Ystrad Mynach Wales. 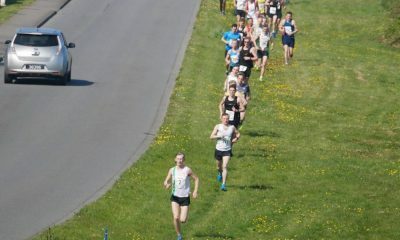 Griffiths won in 51:00 and most impressively the race formed up part of his 23 mile Sunday long run. Cardiff AAC’s Clara Evans won the women’s race in 61.23. 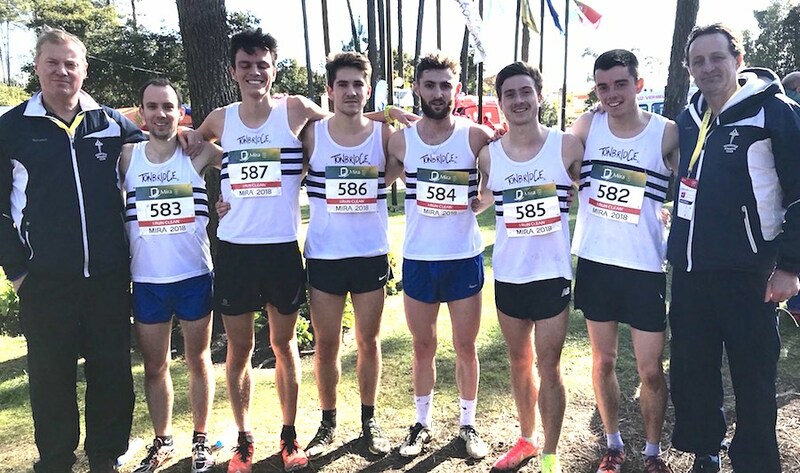 Tonbridge AC finished eighth in the senior men’s competition at the European Champion Clubs Cup Cross Country in the Portuguese town of Mira. Robbie Farnham-Rose was the highest place finisher for the club in 15th with a time of 30:56. He was followed by club mates Maximilian Nicholls and Ryan Driscoll in 45th and 46th respectively, with Ben Cole 53rd, Charlie Joslin-Allen 78th and Jamie Bryant 81st. Aldershot, Farnham & District impressed to finished sixth in the women’s team event. Louise Small was the first home finishing 14th in 20:55, followed by Katie Bingle in 18th, Lauren Hall 33rd, Laura Gent 40th, Hannah Kitchen 44th and Carolyne Baxter 48th.